Life Itself DVD and Blu-ray release date was set for February 17, 2015. The legendary film critic Roger Ebert had been providing guidance to moviegoers for over 30 years when he finally died from cancer in 2013. The movie makers he so often reviewed have now paid a tribute to him and his life by adapting Ebert's memoir of the same name for the screen. 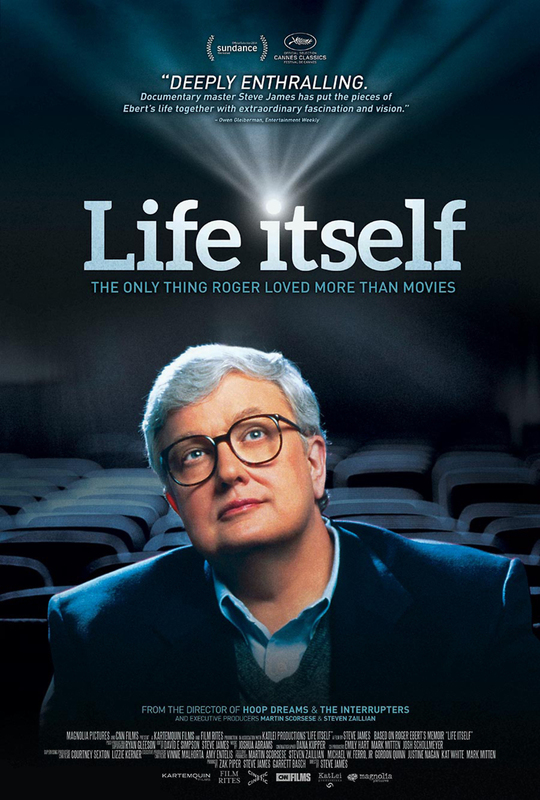 This documentary takes a panoramic look at Ebert's life and begins with his childhood and covers everything from his time as a columnist with the Chicago Sun Times, to his television career with Gene Siskel, to his brave battle with cancer, which he finally lost in 2013. Film watchers will learn a great deal of previously unknown information about the critic, much of it very personal.